To kick off the 50 Greatest Football Shirts Ever, we have an example which divides opinion. 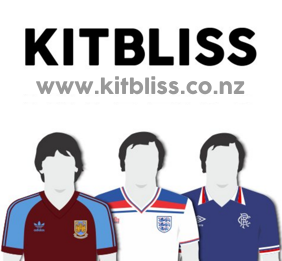 We can be sure that this list will contain many shirts which have become lauded pieces of design work at least partly via an iconic status - for example, evocation of on-field glory. 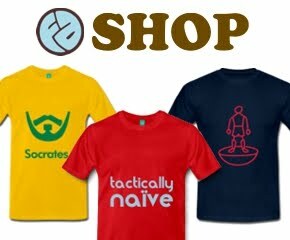 Others may sneak in perhaps owing to being hugely popular amongst the particular team’s supporter base. Neither of those sticks can be used to beat the Netherlands 1996 Home shirt. Initially slammed with the cliché “It looks just like the last one” - like fingers down a chalkboard for most kit geeks - the Dutch did indeed carry an evolution of their USA’94 version (and the similar style worn in European Championship qualifying) rather than a sweeping redesign, as they capitulated under the weight of players’ egos and claims of racism at Euro 96. No, the Netherlands’ showing in England - a weak penalty shootout exit at the quarter-final stage, having never recovered from going down 4-1 to the hosts - was far from ideal for Italian manufacturer Lotto’s marketing men. If the shirt was to sell, it would be primarily off the back of its aesthetics. So how did Lotto justify tweaking as opposed to starting from scratch? The dotting of the red and blue trim on the collar and cuffs was the most noticeable differentiating quality, along with elevated badge positions and a new button-up collar approach, but it was actually the watermark that really made the impact. It was the watermark that really made the impact. It seems odd to type those words, however true they are. A 1990s watermark generally acted as further branding for the manufacturer, or perhaps rendered the team crest as a pattern or enlarged; this time the players themselves featured, in celebration supposedly after a goal had been scored. And here’s how Lotto delivered so marvellously. The similarity with the previous shirt wasn’t mere laziness, rather it was calculated genius. Because the photograph used could, conceivably, be displaying current players wearing the current shirt. Prepare to have your brain fried, as Lotto gave us a theoretical Droste effect. The Droste effect - named as such due to its use in a poster advertising the, naturally, Dutch cocoa powder Droste - refers to a concept whereby an image appears “inside itself”, creating a type of infinite recursion. So, in this case, “Holland” would be wearing a shirt, which depicted players wearing said shirt, which in turn would carry the same image, and so on. You couldn’t make out the detail on the watermark’s players’ shirts and, yes, deep down you knew it was really an earlier version - the goal being celebrated was actually Wim Jonk’s against Ireland in the USA 94 second round - but the love of football shirts can incorporate indulgence, faith, imagination and fantasy. 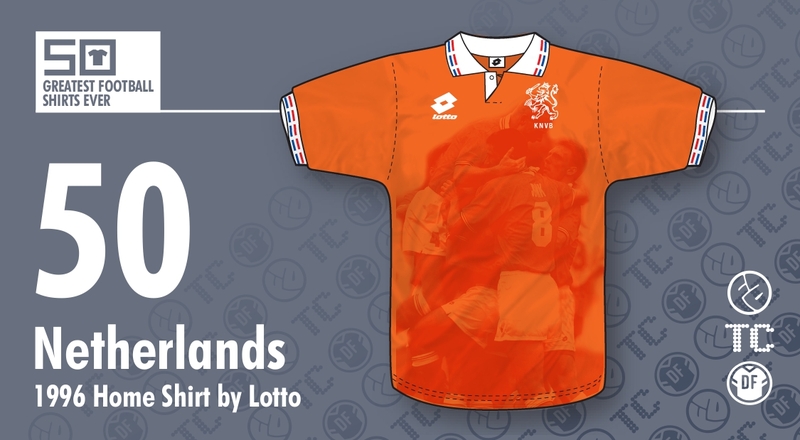 Even if Dutch fans claim the shades of orange were all wrong and consequently dismiss the design as a whole, my mind was blown by the concept and inventive deployment of a backdrop when I saw the shirt in a sports shop nearly twenty years ago, and it still has the same effect on me now. 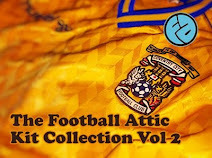 Written by Jay, resident blogger on DesignFootball.com. Jay can be found on Twitter and DesignFootball.com are on Facebook and Twitter.